Steven Shugan thinks marketing scholars neglect the service sector of the economy and he’s out to change that. Despite the fact that most new jobs are in the service sector, most of the growth in the economy is in the service sector and most marketing students take jobs in the service sector, Shugan says most marketing literature is more applicable to packaged goods than services. For his part, Shugan has embarked on a research agenda that considers problems faced by firms in the service sector, an area of the economy he believes is underrepresented in marketing research. 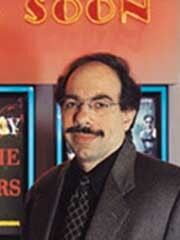 Shugan estimates about 60 percent of his research focuses on entertainment services. Other areas of interest include advanced ticketing, Internet retailing and the impact of seasonality. Shugan has been able to test many of his marketing theories on the film industry by employing a database he built of more than 10,000 films. Recent research shows how to forecast motion picture box office performance by conducting market research of film trailers. He is extending that research to determine the role other basic film components, such as script, cast, director, producer and budget play on a film’s success. Shugan’s research examining the relationship between intent to see a film and the actual box office yielded some surprising results. “It is much more important to have a few moviegoers who love a film (although many may hate it) than to have many moviegoers who like the film (but do not love it),” he says.